In 1716 the French built a fort on the bluffs of Natchez and named it Rosalie in honor of the Countess of Pontchartrain. In 1820 Peter Little, who came to Natchez from Pennsylvania in 1798 at the age of 17, purchased a portion of that land on which to build his home. He decided to keep the name Rosalie in honor of the fort and its settlers. He also purchased large areas of land in Louisiana. Peter frequently used the ferryboat at Natchez Under-the-Hill to cross the Mississippi River to check on his Louisiana property. He developed a strong friendship with the ferryboat owner, Jacob Lowe, and his family. In 1806 an outbreak of yellow fever quickly took Jacob’s life, and soon after, his wife contracted this dreaded disease. Knowing that her death was near, she was consumed with concern for her daughter, Eliza. She sent for Peter and pleaded with him to take care of Eliza. He promised her he would. Peter took Eliza in and did what he felt best for her – he married her. At the time Peter was 25, Eliza 14, so marriage was in name only. Peter immediately sent her to school in Baltimore. Even though they were separated by many miles, a deep love blossomed between them. We do not know how long Eliza remained in Baltimore. However, we do know she came home to Peter a very educated and sophisticated young lady. Rosalie was completed in 1823, and Peter and Eliza moved into their new home. Even though they never had children of their own, the sound of children filled their home for many years. 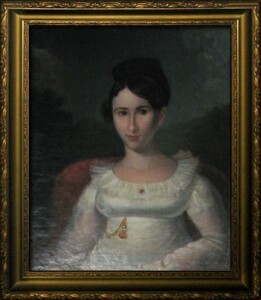 In 1816 Eliza helped found the Natchez Children’s Home, and many of those children found a loving home at Rosalie. Peter and Eliza also raised Peter’s niece after his sister’s death. By all accounts, Peter and Eliza remained deeply devoted to each other throughout their 45- year marriage. Unfortunately, in 1853 at the age of 60, Eliza died of yellow fever. Three years later Peter died, at the age of 74, without a valid will, forcing an auction of the estate. In 1857 Mr. and Mrs. Andrew Wilson acquired the house. The Wilsons never had children of their own, and like the Littles, they took orphaned children into their home. They became especially close to one of the girls, Fannie McMurtry. They adopted her, and to the Wilsons she was their true daughter. Fannie would later marry Capt. Stephen Rumble in the parlors of Rosalie on August 2, 1866. Rosalie became their home for the rest of their lives. They had six children, all born at Rosalie. In 1938, due to hard times, Annie and Rebecca, daughters of Stephen and Fanny McMurtry Rumble, sold Rosalie to the Mississippi State Society, Daughters of the American Revolution. Miss Rebecca and Miss Annie continued to live at Rosalie and gave daily tours of the house. In 1958, after 101 years of life at Rosalie for the Wilson/Rumble families, Miss Annie passed away. She was the last of the descendants to live at Rosalie.